Her Open Floor Plan is an Excedrin Headache Nightmare! Hi Everyone! I know that you’re busy and I know that I promised to cover painting an open floor plan. But last night, I was thinking about that and realized that I just can’t do it. I can’t. So, I went back to doing my pinterest feed. And even this morning, I wasn’t sure what I was going to write about. But, a little nagging voice inside my head keeps reminding me about Laura. Remember? The talented, flute tooting Laura with the two adorable cherubs (aka: pretend children) and pipe organ playing hubby? If you need a refresher, click here. You may also recall that they have one massive family room which is threatening to swallow them all up whole, it’s so imposing. I mean, that’s how this huuuuuge open floor plan feels. It’s dark, oppressive and despite all the warmth of the wood, is just not working. Now, that’s not entirely the room’s fault. Right now, there is some functional furniture, the aforementioned grand piano and that’s about it. There is no art. And, no paint color is going to look good without these layered accents. And, I also realize that Laura hasn’t bothered with that yet because this is a room in progress. However, to drive the point home, looking at Sunday’s post featuring the extraordinary home and styling of Maura Endres, it is evident that it’s the details that matter most. To compound the issues, there’s a cherry wood kitchen in this home of mixed identities. Is it a Victorian or a Craftsman? Victoriman doesn’t quite cut it. In addition, I got the Dear Laurel letter to end all Dear Laurel letters. And I am not faulting Laura one bit. And she is not bugging me or presuming that I’m going to do anything to help her. In fact, I told her that this one is so fraught with problems that it’s giving me a giant headache, and therefore, we shouldn’t hope for too much. haha But alas, here we are. First, let’s go back, if you haven’t already, and view the post about the charming music room. I have to say that this was one of the most successful posts and the images that y’all have pinned to pinterest are doing super well! Naturally, who doesn’t love the idea of being able to decorate beautifully without spending a full college tuition for two! And, Laura spent more like the supplies needed for one semester. Really awesome! Plus, it’s beautiful and home-y. I just went through Laura’s email and my eyes started glazing over by the time I got to the kitchen, so for now, I am going to leave most of that out. There are a few other details that I’m leaving out as well, because they are specific to their needs as professional musicians and they aren’t huge issues, in any case. But, since they wouldn’t be of interest to most people, and there’s much to cover, I’m leaving them out. Below is the letter. My comments along with Laura’s images are within the letter. Laura is in normal print or bold italics. Laurel is in teal italics like this. Hopefully you’re still intrigued with my not-uncommon problems with my massive open floor plan family room, dining area and kitchen. I hope you know, but to be clear, I have NO expectations from you whatsoever! What I am doing here, is laying out ALL OF THE DESIGN PROBLEMS/ROADBLOCKS that I think a lot of us face. Hubs and I talked about it and will budget considerably more for this whole area— it is so important to get the heart of our home right. oh phew! Good thing and I agree! I’ll still only be able to move at the pace I can find things at prices that make sense to me. But working in our favor, my father-in-law restores and paints antique cars for fun, so we basically have a pro painter, paint booth and commercial sprayer at our disposal. And, my brother-in-law is a retired cabinet-maker, so he is willing to help us tweak things on the kitchen or the built-ins (but he’s not up for major overhauls). I’ll say!!! You’re very, extremely lucky! So, I know you know Studio McGee because I didn’t know about them until reading your blog. I clicked over to them and discovered they completely remodeled a house nearly identical to mine- the Windsong house ( #windsongproject on instagram) likely the exact same original house plan. The Studio McGee Windsong house after. Holy Crap!!! But, yes, I can see that it’s the same basic model. Stunning transformation. You’d think a totally remodeled open floor plan, beautifully done, those awesome designers would be all the inspiration we’d need to move forward, but they were able to do things with their deeper pocketed clients than is within reach for us in the next 10 years. Plus, we have a lot of antique elements we want to incorporate, and will need to find more of a neo-traditional balance, style-wise. And, I like/NEED a lot more color. I looove white, like is everywhere in the Studio McGee project, but I need to make sure there are ‘life-giving’ colors infused throughout my everyday living. I’m already an Arizonan living in the SNIRT capitol of the world, but like so many others, have some health issues that need consideration in my surroundings. We discovered a while back that my physical environment plays a huge part in my sense of well-being, and are big believers in color/light as therapy. Another interesting note: my husband did some post-doctoral work on chromesthesia (so fascinating) motivated by the fact that *to some degree*, we both “see” the music we make in colors. And the reverse being true, that colors around us inspire different music. Yes, I have heard of this phenomenon. Cool! Basically what it boils down to: we like color… AND white. I love the organ room because it has some great saturated colors, and as you said, “greens love greens”, so it still manages to deliver a peaceful, monochromatic feeling. 1. ALL THE WOOD. it’s just too much. 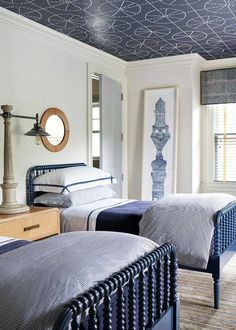 Originally, we were drawn to the richness of the family room ceiling, and I’d really love to keep that wood, (maybe changing the color) if it makes sense. I can see the ceiling being balanced out by a wood floor, and painting everything else. But I can’t believe the solution here is actually add more wood!? Lol! But to be honest, I have no idea. I have puzzled over this for months. Finding that exact right formula to make sure one element doesn’t feel too heavy is daunting! 2. WOOD ANTIQUES: clocks, record players, phonographs, music boxes, instruments- everything my husband loves is wood color. So how do I accessorize a head to toe open concept wood room with more wood antiques?? Ugh. 3. THE NICHES/TV: I hate that there is no focal point because there are 100 focal points. I’ve thought about putting just 1 amazing piece of art in each niche, but I have a hard time knowing what images I’d love THAT big and be so much of a focus and make it still feel like me. And to fill them with shelves and books just feels awfully heavy considering all the doors and wood work around them. And how do I keep the fireplace a focal point? Ugh. So hard for me. Well, your predecessors haven’t made it easy for you. 4. KID SPACE: I’d really like to keep a couple of cabinets dedicated for kid use/toys. But most importantly (because this is the stage of life we are in), we need a home for the doll house. When Santa found a vintage Playmobil Victorian Mansion doll house with adorable furnishings and crazy awesome details, he knew it’d be something I wouldn’t mind sharing living space with. And it occupies the girls imagination for hours. I love that! It will be a cherished memory for all of you! BY THE WAY- The only things that must stay in this room are the piano and doll house. Okay! Bring in the futons! It’d be nice to have some of his antiques, but not critical. And the main furniture for sure goes away! I do have some antique accent chairs from hubby’s mom that I’ve been thinking about using and reupholstering in something awesome and bold. 5. FURNITURE: my husband is 6’4”, I am 5’9” and we’re not petite. I need more human-sized furniture, but we still want it to feel relaxing for all. These large chair-&-1/2s were actually super great in our old living room because they functioned as sofas there. (I know it sounds nuts, but it worked). Actually, I don’t think it sounds nuts at all! They were comfy for one, kids could climb up in them with you, and even my husband and I could snuggle into one of them to enjoy a fire. I got both of them barely used for $150, but didn’t love them, so I actually painted my living room a nice rich gold (close to the chair colors) so the chairs blended with the surroundings and didn’t look enormous. It was a shock moving them into this room. yuck. But, my husband is reluctant to get rid of them because they were so comfy for us. He’s afraid all my modern ideas for furniture will not be cozy or will be too small to fit his legs. He likes the styles of it fine, he just likes to relax comfortably too. The picture from last Christmas in our old house is just for you, so you can see we aren’t like enormous people, just not tiny. Lol. See what I mean about liking color? Very similar to Blair Gold from the Laurel Home Collection. We didn’t really think we wanted this particular color again in this house. We’re trying to use less golds and reds this time, which unfortunately we are both innately drawn towards when making decisions which is THE EXACT reason why I bought your paint guide ;). Thank you Laura. We need to stop for today, so that we can examine all of this. I wanted to give you an update on my family room, and I have to tell you, it’s not good news. I actually took your advice (though not faulting you at all ), and despite owning your paint guides and feeling pretty confident in choosing colors in general, I actually hired an interior designer to take a look at my space, and give me some recommendations. Oh no, Wawa; should I cover my eyes?! After all, SHE was the expert, right? I should have known better, honestly, I was so desperate. ummm… no, sweetie, you are frustrated and using deadlines to make rash decisions. And, now you know not to do that again. But, take heart. We all make this mistake at least once. So instead of the soothing, relaxing, living room, with life-giving colors that harmoniously, yet somewhat monochromatically fills me with something other than pure dread, I have successfully punched up the overwhelming awfulness that IS my built-in. And it accentuates every glaring bright orange detail. Right, it’s like Phillip Glass juxtaposed over Sergei Rachmaninoff? Well, don’t beat yourself up. Like I said, we all make mistakes. I’ve made plenty of them and hopefully not as many for clients. But that’s happened too and then I have to fix it. And, it’s always expensive. Yuck! I was generally (and perhaps too safely) leaning towards something greige, maybe SW Dorian Gray. I felt like I needed to mellow out the orange not give it something to wake up with. I’m afraid that gray or greige is not the answer, either. It’s definitely not. The reason is that the wood is basically orange. Orange and gray are not going to look so great, especially with your lovely music room. I knew I could always add “me” back into it with saturated furnishings. We want as much light in there as possible, yet my instincts told me I needed something more medium to balance the color values of the ceiling and built in. So, when the designer insisted Sherwin Williams Moody Blue was exactly the right choice, who was I to say it wouldn’t be daring, yet great? (Her other option was SW Tin Lizzie, which didn’t work for me at all). But coming home to the newly painted living room now has me UGLY FACE CRYING. And to make things worse, I had also snagged 2 of these fabulous navy (bordering a dark royal) wingbacks + a matching ottoman for, wait for it, $200! They were supposed to be considered for the whole scheme… but um, nope, not working together. When we had the samples up, it really didn’t look bad. It looked much grayer and darker. But I think that is was just SO DARK in there, you couldn’t accurately see ANYTHING at all. I feel for Laura. And I know that there are thousands of Lauras. Hell, millions, I’m sure. And I’m not going to beat her up. (too much), but what is the first rule of decorating??? Uhhh… Laura… hold on honey! Where do you think you’re going? You haven’t been dismissed. ;] I know that you know the answer. Uhhh… Please don’t be mad at me, Laurel… Uhhhhhh… I painted without having a plan? Yes. And I’m not mad at you. I fully understand the situation. Kids, work, work, house, work, kids, house, in-laws, husband, house, work, company, fugly great room. Gotta do something NOW! But this is a complex situation with a lot of moving parts and they aren’t just the piano keys! I have thought long and hard about this open concept floor plan and in summation, what I think is the main problem is that there is a disconnect between what is already here with what you really want to do. Now, I don’t think that you’d have built a family room that’s 22 x 24. But, my first instinct way back in October, was to paint the wood. And yes, you can have white walls AND floor and still have a very colorful home. We saw that here. However, if you were to keep the wood, the best color to paint is something that’s actually close or closer to the color of the wood. I’m sure you’ve heard in music, well jazz. “If you play a wrong note, play it again and it won’t be wrong.” I learned that from one of my son’s music teachers way back. Well, it’s like that with color. If you want a color to “disappear,” create MORE of it. But, the over-riding problem is that there is soooooo much of it. And the coffered ceiling is big and heavy. Based on everything you’ve told me, I feel that you want light and bright. What I think you want is something more along the lines of the studio McGee home but with more warmth and personality. And in truth, the McGee home as pretty as it is, perhaps lacks a certain element of soulfulness which is probably what is disturbing to some, but not others who want this clean “transitional” look. I see both points of view. Some of you may be wondering if it IS the same home. Well, in the McGee home, it was built with the balcony and in this version as we can see, it doesn’t have that element. I think that the room was designed with that in mind which is why it ended up being extra deep. And, like I said, I’m not going to address the kitchen specifically, but I also think that the space is too open. They all need to work in tandem. So, before we jump in and try to figure out what the color and furniture will be, we need to work on the envelope. The bones of the room. Remember, that ALWAYS comes first and it’s what hasn’t been addressed. That’s because the tendency with all things in life is to go with the path of least resistance, or to pick the low-hanging fruit. Same thing. We all do it. It’s human nature. However, in this case, it’s important to get the bones right, because right now, they need some tweaking. 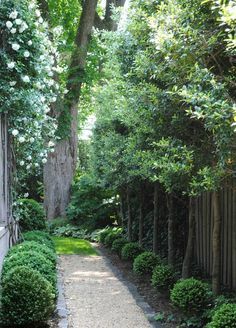 However, check out below my favorite part of this space. Those windows are pretty gorgeous! But, I see like in this home, some of the trim is stained and some is white. So weird. Moving on… I listened very carefully to everything you said, Laura. And I am going to say some things that may surprise you and others that won’t. The worst thing going on in this large open floor plan besides all of the heavy stained wood is the wall to wall greige-y carpeting. It matters not what else you do, because until that’s been taken care of, this room is always going to fall short. Wall-to-wall carpeting in a traditional, or classical living space is like doing Romeo and Juliet; only think Annette Funicello with Bobby Darren romping around on the beach in string bikinis going “Romeo Oh Romeo wherefore art thou Romeo?” Sure, you can do it. But should you? Probably not. Therefore, I very much recommend that you put in a hardwood floor. Don’t worry about not being able to match it. Yes, it’s tricky but it’s not impossible. And if it’s a shade off, it won’t matter. Believe me. It won’t. It’ll be better for resale too. Issue #two is the bookcase. Now, something very interesting. The McGee fireplace wall, because of the balcony, is at least 8 feet shorter. And, that’s significant. The room according to your measurements is 24 feet long. That’s a lotta lotta bookcase on either side. I would build it up to the ceiling and GET RID of all curves. That means changing doors with curvy rails. They have no place anywhere in this home. And, I’d paint everything a creamy white. Simply white that you used in the front room might be fine, but you’ll need to test. But, we’re not done because the furniture is super important. And, this isn’t necessarily going to be the final answer. And we also need to look at the kitchen, but this is already one of the longest posts ever. Actually, this is going to come as a surprise, I believe. But I think that you should keep your furniture– for now, that is. If you had a beautiful rug and some great pillows, lamps, accessories, artwork, the furniture could look great! And, I’d far rather you put your money into fixing up the kitchen, etc. I do think that the coffee table is too dinky, however. Below, I came up with two schematics floor plans. You can mostly ignore the colors. I can’t get into whether the fabrics will change, although that’s important. But I think that you could work with them as they are now. And yes, add in some red and a little blue, if you like. Maybe in pillows and/or accent pieces. The reason that they look so badly right now, I feel very strongly is because of the carpeting. Is pretty much what you currently have, but a new coffee table and a table with a lamp between the two large chairs. The round things on the walls are sconces and the ones in the corners are floor lamps. And yes, I added some little walls. Like Melissa Tardiff did in her charming New Jersey home. You’re allowed to do that you know. Okay, Laura. May *I* be dismissed? PS: Please don’t forget to check out the hot sales. Things are really heating up now that Christmas is only two weeks away! Melissa and I have added a lot of new things mid-week. ANY information you share about paint and open floor plans is very helpful for me in a rental/studio apartment. I’ve used the search feature a lot. You may have more readers than you think who are in rentals but would like to have a beautiful home. I’m lucky, I can paint (well, they told me not to paint or put holes in the walls but a friend in another apartment has painted AND put up drapes, and I’ve put up drapes. And apartment management repeatedly uses our two units to show the owners/potential buyers and lenders — all of whom photograph our units.) My best guess is that painting and/or drapes will cost us our deposits should we move out. However, we’re both mid-60s, so I doubt we’re moving unless feet first. Ultra cheap dark brown nylon carpet in living/dining and bedroom. The post is great and each comment makes it even greater!!! I imagine this home painted as you showed on the post “Paralyzed By Perfection – Should She Paint Wood Paneling?”. I think in open plans the walls look like little bits so painting ALL the same maybe a good idea, ceilings, windows, trims and walls. I imagine the wall next to the doll house with a beautiful gallery wall by the talented Laura! You are very talented Laura so enjoy your decorating journey! Is it me, or does the fireplace look like a wallflower in that large room? Like it’s trying to hide itself between the flanking cabinetry. If it were my room, I’d install a beefier mantel, and widen the fireplace surround and/or make it more distinct. I’d simultaneously reduce the impact of the cabinets and distinguish the fireplace with size, color, and/or materials. I’d also put the TV elsewhere and make a big, vertical statement with mantel decor. Yeah, I thought it might be cost prohibitive too. Or is the fireplace a small enough project the family carpenters would be willing to pitch in? Oh. My. Word. This is the world’s best blog! And not only because of the supremely talented host and the salient wisdom she imparts (or the surprise Christmas presents). What wonderful followers you all are! When talking about something so personal as the space my little family spends all our time and turning it into our forever home, it’s hard not to feel like I have friends all over the world rooting for my family room to succeed! And it’s not even like all you had to do was push a ‘Like’ button– the thought that has gone into every comment and idea is awesome. What good vibes you are all putting out into the universe! Have you ever thought about how amazing that feels for one like me? Gosh. This crazy corner of the www is truly the best! I have loved reading through each and every idea and am still trying to take it all in. I love this house, and have to say that the music room post is inspirational and wonderful. I hope this helps you feel better, but at least in these pictures and on my screen, the new paint color is an improvement. And the white trim looks much nicer! I agree with Laurel that it’s a good idea to paint the ceiling, but if you want to compromise, maybe you can paint just the recessed areas. The new chairs are lovely, and I think they can work in this room if you use the right art on the walls and pillows. For some reason, this room is making me think of John Singer Seargent. Maura’s Instagram has indeed convinced me that it is the details which tie a room together. I made a Pinterest board because I’ve been thinking about this a lot today. 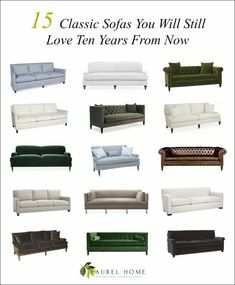 Since your furniture is so comfortable, why not think about slipcovers? Ready-made slipcovers might give you some peace if the colors are paralyzing you. I also agree about the floor, and Laurel has linked this source before: 1800getarug.com they sell only hand knotted or hand loomed rugs and have a 50% sale right now. Even my grad student stipend was able to get a rug this sale 🙂 They have some lovely blue and beige Oushak rugs right now. Wow! Amy. That is so incredible that you made a pinterest board for Laura! That just brings tears to my eyes! The good kind. I loved this post. And it seems everyone has an opinion about what needs to be done. I’ve enjoyed reading them. I do have to comment about the home designed by Studio McGee. It’s truly lovely. But is its true appearance depicted in the pictures? I loved this post. I learned a couple new things. 1. I’m not alone in wanting to get rid of arches/curves. I have a smallish home and I see six arched openings from where I’m sitting. Ugh. 2. The rug doesn’t have to be centered in front of the fireplace! I’m turning myself inside out to get everything all lined up. The corner of my couch is 32 inches from the corner of my island. I’m going to try moving that couch over a bit. Also, no one has mentioned the new wall between the kitchen and family room. These small walls make such a difference. I wish I had room for one too. 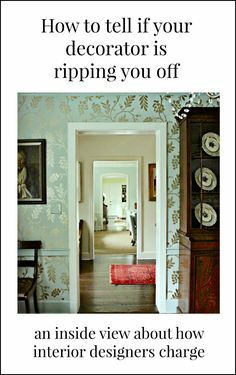 This post covers a lot of very common decorating mistakes. That room has loads of bossy elements competing for centre stage but all we get is gridlock! Ahhh… we’re getting ahead of ourselves here talking about the kitchen. :] But since you mentioned it, I don’t think that should be cherry either– in this case. I am thinking of the house as a whole and what is best for the situation as presented. I love the wood ceiling. I also think you’re right that here the size and ceiling height make it so it’s always going to feel oppressive. But I would probably make all the other changes first and then evaluate again before making a final decision, because once you paint it there’s really no going back (well, not without lots of time, work, and money). I think the immediate problem is that there is no one color that is repeated in multiple objects… so there is no appearance of unification in the room. Additionally, all the current colors are next to each other on the color wheel, and you need a contrast color (probably red). My thinking is that step one is to make what you have look more unified, even if it is not your magic happy plan. That buys you time to develop your plan, so that your next expenditures are positive steps toward that plan. If you don’t want to spend big $$ right now, then consider these changes: adopt Laurel’s first furniture layout; move the Christmas tree over in the upper left corner, and move the doll house between piano and the new blue chair. Then choose one “focus” color that makes you happy (or the least unhappy) from among the current colors in the room (dusty blue, royal blue, loden green, maize) and bring in some inexpensive large-ish objects that repeat that color and at least one of the other existing colors (e.g., replace upholstered brownish round ottoman with blue and white garden stool, or just drape with scarf; add throw or quilt over couch that focuses on shades of red, green and gold, or red, blue and white with green touches); add two large inexpensive art prints in the niches that repeat your focus color). Then add 3-5 objects to the room that contain red plus your focus color (as you’ve started to do with red star on mantel). I’m a confessed wood-lover- and I like that ceiling! To me, the room is conflicted- it has the wood elements of a library or study but in a family room setting. Laura clearly wants a bright family room and I love the advice here for that. I’m just throwing out the idea that an alternative for a different homeowner might be to embrace the English library/smoking room look and double down on dark & rich. Not that shade of blue for the walls but one of the other many no-fail paints that go with wood from the indispensable Laurel Paint Guides. To me, it’s the “Victoriman” (haha, brilliant term) look that is causing the main problem here- one could improve things considerably by identifying a clearly traditional style that harmonizes with the kitchen and stick with it. Then layer in all the cozy, rich traditional elements (more lighting!) and change out the transitional ones (like the carpet, some furniture, cabinet doors) as much as possible. I hear you on a lot of this Danielle, but my thinking is that pulling this look off takes a lot of money and it doesn’t solve the problem of the cabinets. A gold wall color would be better, IF– But, I can’t get past the cabinets. It’s a difficult situation. Hi there Laurel and Laura! I actually think you have the makings of a great room. I love moldings, built ins and the tall windows but agree that most should be painted white. Laurel, yes, absolutely must get rid of those curved rail doors! And the creamy white- perfect! Maybe BMoore Simply White or White Dove. Or even Navajo White. And I love the idea of just painting the ceiling white between the box beams that the readers have brought up. Laurel, you are spot on with the rug/hardwood floor recommendation. My last house was a log house with cream carpet in the family room…and it was oppressive to be in the large (but not nearly this large)room. I insisted that the wood ceiling would have to be painted (my husband was not a fan) but as soon as we put hardwood flooring down the ceiling wasn’t a problem- our wood floor was darker than the ceiling so we didn’t have the feeling that the dark ceiling was pressing down on us. Laura’s floor is not going to be dark but I would extend the wood floors and paint the rest of the room and see how the ceiling feels after that. This is part of how I came up with my remedy for the problem. The ceiling in the kitchen is white as is the ceiling in the music room which is also coffered and looks gorgeous. Imagine that room with a brown ceiling and I think it would not look nearly as fresh. Hello Laurel and Laura, Let’s face it, that ceiling is oppressive and that cabinetry wall is both overbearing and badly designed. The ceiling could be painted white, which would be a quick and relatively inexpensive improvement, but it really belongs in a taller room. In an old house, I would stand over the wood elements with a shotgun, defying anybody to touch them, but this is new “McMansion” wood, which some people think is by definition beautiful and sacrosanct. If Laura gets some practice with a crowbar in this family room, it might steel her nerve when she needs to get started on that kitchen. To think that it is for interiors like this that we are sacrificing Canada! By the way, that blue wall looks oddly like the exterior facade of a house, as though the family room were an open Hollywood set on the back lot. Even those switches next to the door (without focusing closely) look like a house number. And those first pictures of the similar house, which seem to solve the problem by putting a stick of dynamite in can of high gloss white paint, covered the darkness at the expense of creating an interior which is cold and uninviting. In Ohio we can get snow-blindness outside; no need to bring it indoors as well. Actually, your “grumpy” comment made me chuckle. I laughed because it’s true. I didn’t realize this until I just checked, but the trim on the windows, was brown before the most recent change. And in the front room the window casings are brown and the ceiling is white. But here, we can see how GREAT the ceiling looks painted and this is a small room. It will lighten things up in the most beautiful way and actually make the contrast not be so great when there’s snow outside. This room is not light and bright under most circumstances and the glare of snow has remedies. The photography for the McGee interiors bugs me with it’s vastly over-exposed nature. In fact, I actually darken their images as much as I could, but it’s difficult to put back what’s not there to begin with. This is definitely a look and I’m sure saleable. From what I could see in the pics, I’d build a wall with pocket doors between the 2 windows and the transom patio door. The wood isn’t the problem imho, the size of the room is. Maybe I’d arrange it as kitchen with informal dining and formal dining with fireplace beyond pocket door. I didn’t want to put the floor plan in just yet because I didn’t want a lot of comments about the kitchen and I considered that, as well, but unless they blow out the entire kitchen and reconfigure, that’s not feasible. because there’s no real need for a hall. It might be possible to add some columns, but I’m not sure about that either because one of the beams intersects the doorway. I would’ve tried to avoid that. Ahh… yes, another reason a wall can’t be put there because logically, that would be where it goes. Thank you for addressing those of us living in the SNIRT areas! My open-concept home gets a ton of light, and our currently white walls leave us blinded 6 months of the year. Thank goodness I found this blog before selecting paint color/colors. We’re low on funds, but at least we have a ton of original art to do a gallery wall. Since the blue and grey walls bring out the orange of the wood, I would suggest painting the wall unit white or off white and paint all window frames the same too. I would paint the walls a white or off white…can even be the same color as the wall unit, but in a different paint texture. Or, a similar but very slightly darker white. But no color. I would leave the ceiling as is. Put in a real hardwood floor. Get all the color you want through furnishings. Yes, these big houses can be hard to furnish, expensive to furnish..hard to clean (so much space). Also, on the wall unit, will would get rid of the big niches and put in shelves, where you can showcase more things than with just one big niche.. The big niches look odd. I agree with painting most of the wood and adding wood floor when she can. I would just paint the whole built-in until she can get the new doors, or maybe just take off some of the doors. Some sort of rug in the meantime might suffice. I got one nearly the color of the wall-to-wall and it made a difference until I can tear it all out. I would consider leaving the wood beams only and painting the wood paneling on the ceiling between the beams. Yep, agree with laurel, paint it all out. That was my first reaction, and I love wood. The coffered ceiling is oppressive. That room is fine for someone who watches tv whenever they’re there, but depressing if it’s you, that doesn’t and has to actually look at it.